This is a ripe Puerh tea that is fermented and aged in a Tangerine peel. There are many types of Chen-Pi (Tangerine peel) aged Puerh. 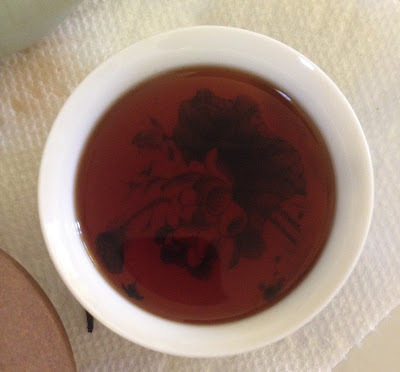 We featured another Chen-Pi Puerh earlier this month that used Peony white tea. The leaves are large and yield from the Yunnan region. There are many brands out there and each connoisseur have their preference. Featured here is the Gold Horse brand of Chen-Pi Puerh by Hoshan Tea Institute of Science and Research in China. The tea needs to be brewed with the Tangerine peel. Above picture shows the tea that has been removed from the peel and then the peel is broken up and tossed well into the tea. 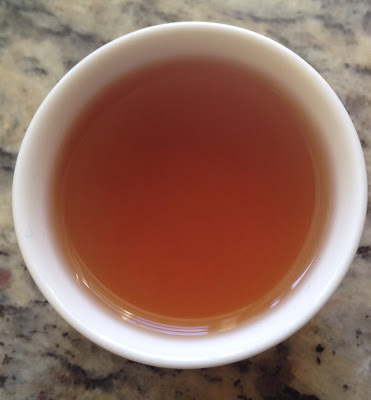 This particular Chen Pi is from 2008, is fermented with moderate caffeine. Each Tangerine weighs between 18 -25 grams. 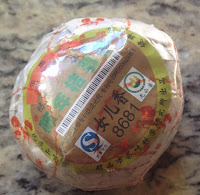 The flavor is smooth without the mustiness that can be associated with some of the Puerh that are aged in Tangerine peels. Each Tangerine has the potential of 3-4 steeping sessions. This cup is from the first steeping. The tea liquor gets stronger on the 2nd steep and with longer steeps. This is a second steep (2 mins) a little darker. The color is clear and red. No tea dust at the bottom of the cup. The leaves are high quality and the processing method shows that the leaves were not manhandled and were of choiced pickings. 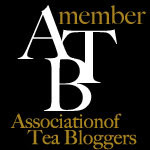 There is no astringency to this tea, even with longer steepings. The flavor had a balanced Tangerine/citrusness to it. The scent is mild and uplifting.